Born as the result of a drug deal, Aiyanna grew up not knowing who her birth parents were. Surrounded by alcoholism and domestic violence, she found her path turning toward lying and stealing and eventually attempted suicide. "I was born in Brooklyn, New York. My birth mother was a crack cocaine addict and I was born as a result of a drug deal. I was placed in foster care shortly after I was born, as a result of child negligence. When I was around two, my grandmother came to relieve me from the Foster Care system and took me into her home as though I was her very own daughter. I lived with my grandmother for about eight years. Around the age of seven, the reality of me not knowing who my birth parents were hit me, and it hit me pretty hard. I hated not knowing who they were, not to mention where they were and for the longest time it felt as though I was the only one. It felt as if part of me was missing. "My grandmother began to drink when I was probably nine years old. The cops 'lived' at my house because of domestic violence. Every day they were trying to break us up or restrain me from doing something I’d later regret. As a way to cope with many of the things I was dealing with at home, I turned to stealing, lying and attempted suicide numerous times. "It's in trusting and allowing yourself to be vulnerable, when you truly experience the different ways God reaches down to touch your heart." "At 17, I made the decision to go to The Fold. During my time, I was able to work through a lot of the things. It seemed as though every 2-3 months, God was doing something that allowed pain to rise. I walked through so many painful memories but the end result made the tears worth it. "I learned was that my identity stood in God. Why? Because He was the One that crafted my very being with His own hands. He breathed into my nostrils giving me the life that I live and He sent His Son to pay a price that I could not. Because Jesus saved me and died for me knowing everything that I would do, my identity lies in Him. Not my parents, not even the name that’s written on my birth certificate. "I learned in loving others, you truly experience God’s love for you. It's in trusting and allowing yourself to be vulnerable, when you truly experience the different ways God reaches down to touch your heart. "I'm grateful that God restored my relationship with my cousin (whom I now call mom) and I am even more grateful that he restored my relationship with Him. God used the Fold to touch my life in ways that are unimaginable. And while it was hard, I wouldn't trade it for anything in world." 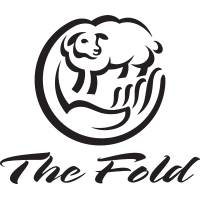 For more stories like Aiyanna's about the life-changing influence of The Fold, CLICK HERE.